A celebration of life for Carolyn Ramona Slyter, 87, of Coos Bay will be held at 1:00 p.m. Saturday, December 1st, at the Nazarene Church, 1850 Clark Street, North Bend. A reception will follow at the Confederated Tribes of Coos, Lower Umpqua, & Siuslaw Community Center, 338 Wallace Street, Coos Bay. Carolyn was born May 10, 1931 in North Bend, Oregon, the daughter of Gus Robert Carlson and Ramona Blanche (Jordan) Carlson. She passed away on November 10, 2018. She grew up on the family ranch located on Carlson Arm (named after her family) in Lakeside, Oregon. She attended elementary school in Lakeside and later graduated from North Bend High School. Since there was no road access to the ranch, Carolyn and other kids were picked up by a school boat and taken into Lakeside each day to go to school. She later lived with her aunt in North Bend during the week to attend high school and then went back home to the ranch on weekends. Carolyn was a Hanis Coos Elder of the Confederated Tribes of Coos, Lower Umpqua and Siuslaw Indian Tribes. She was loved and respected by her Tribal Family, as well as anyone that met her. She traveled to Washington, D.C. to testify on behalf of her Tribe and worked diligently in seeing their restoration bestowed to the Tribe in 1984. Carolyn was elected to serve on Tribal Council for 12 years. She also was employed as the Tribal Enrollment Clerk for 4 years, as well as serving on a number of Tribal Committees. Outside of the Tribe, Carolyn was a very active community member. Her activities included: Board Member of the OSU Extension Services, Member of the Fraternal Order of Eagles, Board Member of the Coos Bay Garden Club, Board Member of the Community Coalition of Empire, Lakeside Watershed Advisory Board and the Advisory Board for CASA (Court Appointed Special Advocate). She also prepared income taxes for the elderly and low-income people through the AARP program. Early on Carolyn filleted fish at several fisheries in Charleston, and was elected to serve in various officer positions for the Local ILWU Longshoremen Workman’s Union, local 42. 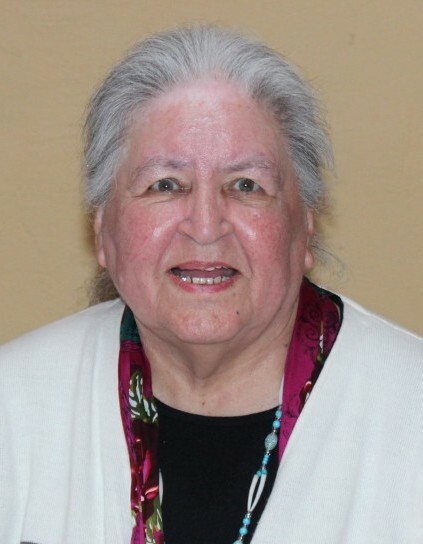 Carolyn, along with Edgar Bowen and Jim Thornton helped build one of the leader Indian Education Programs in the Coos Bay and North Bend School Districts. Even with all the volunteer work Carolyn did, she still found the time to attend all local music concerts and plays. Carolyn was known far and wide for her amazing fry bread recipe, her all knowing smile, determined spirit, and her heartfelt laugh. She will be missed dearly by all who knew her. She was preceded in death by her parents, Gus and Ramona Carlson, husband Donald "Tuffy" Slyter, sister Aloha Ann Miller, nephew Gus Miller, brother-in-law Jack Miller and brother-in-law Larry Nelson. She is survived by her daughter Debbie Bossley and husband, Bob, son Donald (Doc) Slyter and wife, Debbie. She was blessed with four grandchildren: Mindy Andresen and husband, Keith, Rusty Bossley and wife Kysha, Tyler Slyter and Scott Slyter. Along with her cherished great-grandchildren: Bryson Bossley, Reece Slyter and Ryan Andresen. In lieu of flowers, the family requests a contribution may be made to the Carolyn Slyter Education Scholarship Fund c/o Confederated Tribes of Coos, Lower Umpqua and Siuslaw Indians, 1245 Fulton Avenue, Coos Bay, OR 97420. If you have any questions on how to contribute, please call 541-888-9577.